Jumbo’s Sloppy Joes… an icon in the heart of North Dakota. 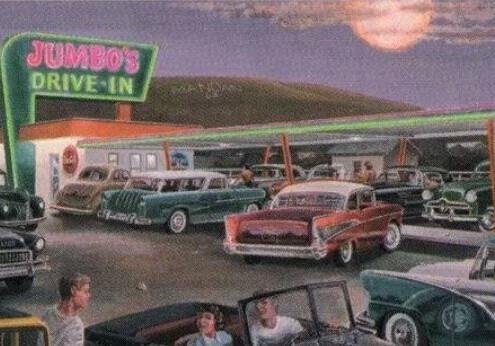 In the early 1950’s, ‘Jumbo Jim’ arrived in Mandan, North Dakota with the dream of feeding people great-tasting, affordable food, all with great service. He built Jumbo’s Drive-In in Mandan. It didn’t take long for the restaurant to be a popular place in the Bismarck/Mandan area. With its reputation of delicious food and exceptional service, Jumbo’s became a local icon. Business people would grab a quick lunch, families would have a special treat for supper, and teenagers would hang out, taking a break from “cruising the strip”. One of the most popular items on the menu was Jumbo’s famous Sloppy Joes. Jumbo Jim and his family remained a fixture in the area for almost a half-century. Through nearly 50 years, three different restaurants, and several updates to downtown Mandan, one thing remained the same: Everybody who tried Jumbo’s Sloppy Joes were hooked! Today: Delivering sweet and tangy flavor to every home. Just as Jumbo Jim wanted to provide tasty food and unparalleled service at his Drive-In, our goal today is to provide the same delicious taste of Jumbo’s Sloppy Joes in the comfort of your own home! 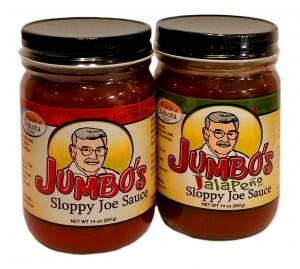 You can order from us online or check out the map to see what grocery stores, supermarkets, and other retailers offer a jar of Jumbo’s in your hometown. Can’t find it where you live? Contact your local grocer! We’ll be happy to work with them to make it available in your neighborhood. I’ve got my jar of Jumbo’s Sloppy Joe Sauce. Now what do I do? Once you have a jar of Jumbo’s Original or Jalapeno Sloppy Joe Sauce, simply brown some ground beef, add a quarter cup of finely chopped onion (if you choose), and pour in Jumbo’s Sloppy Joe Sauce. It’s that easy! It looks like it’s going to be a night with JUMBO’S!!! Have you tried this stuff yet?? Created and made right here in North Dakota! Amazing stuff! We had it for supper tonight. Yummy! Tried your product for the first time this weekend. Love it. I will never buy anything else. We are fresh out of Jumbo’s here in the Lou… Maybe it could be hand delivered??? That would make it taste even better. Had some Jumbos last night… GOOD STUFF!! Make sure to have your distributors to get it on the shelf in Sturgis and then let me know where it is. Just thinking about Jumbo’s makes my mouth water like one of Pavlov’s dogs! We had some last week and we all loved it! From the time she was 14 years old, Patty helped her dad, "Jumbo Jim", in the family business. She learned how to provide unrivaled service and prepare first-class food in a restaurant setting. Most importantly, she learned the family Sloppy Joe Sauce and has made thousands of batches to the delight of many. In 1998, Patty and John married. 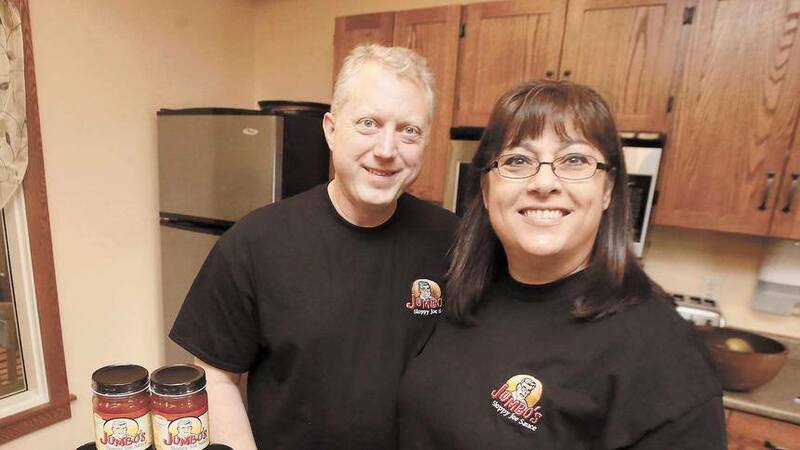 After many years of making their well-loved Sloppy Joes for friends, family, and former customers, they decided in 2014 to make their gift available to the world, offering 14-oz jars of Jumbo’s Original Sloppy Joe Sauce and Jumbo’s Jalapeno Sloppy Joe Sauce to grocers and also available for purchase online.